foot Massager Machine for Pain Relief with Rubber Kneading Pads to Effectively Massage Foot Ankle and Calf at the same time. This leg massager helps promote blood circulation in men and women and is effective in Varicose Veins, Foot Pain Calf Pain, Arthiritis and Knee Pain. 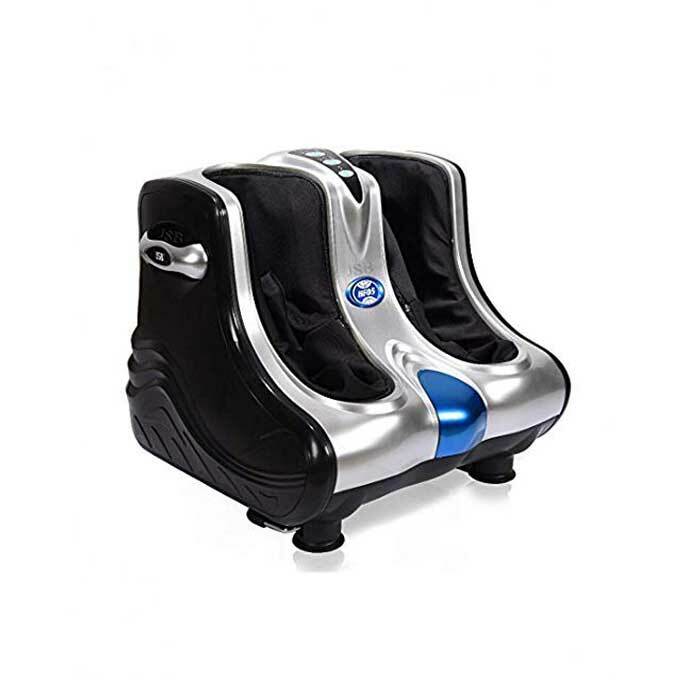 This JSB Leg Massager Machine for foot can recline upto 45 degrees and be used while sitting or reclining on a chair. This Foot Pain Relief Product has got a 15 Minutes Auto Off function. Reflexology Vibration Plate on sole of foot. Above that height this leg massager will not cover some part of upper calves.